Home › .Net › ASP.Net › Why Node.js? I decided to start a tutorial about node.js. I know sounds is boring because there are plenty tutorials outside which can help you to learn. but in this tutorial I want to start differently. I want to start developing a real application. but we start it slowly and I will try to post a few times per day. before we start lets say why node.js ? How we can install Node.Js? Note: if you do not know how to install this app please turn off your PC and do something else. because installing node.js is as easy as installing Adobe Acrobat Reader 5.5. How can check whether the Node.Js is installed properly or not? 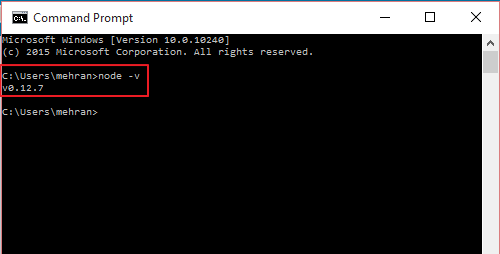 ‹ How Use Cisco VPN Client on windows 10?